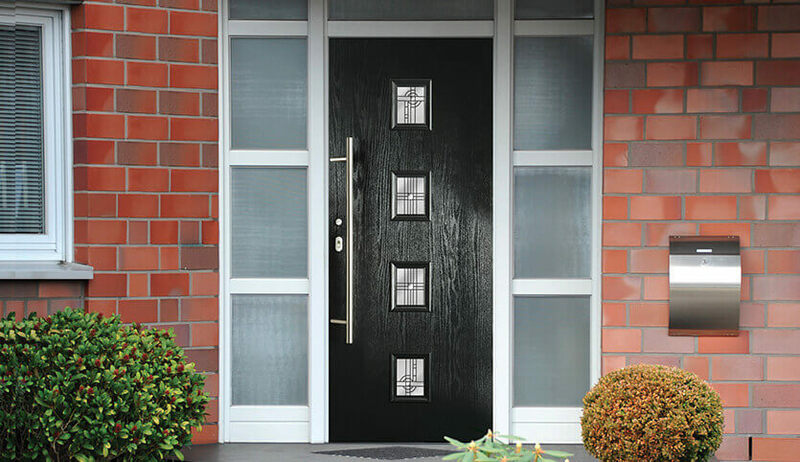 Our composite doors offer you the best of both worlds, a timeless and attractive exterior with modern security and thermal performance. The tough blend of materials we choose are selected for their beneficial properties such as low maintenance, good looks and high standards of security. Thanks to their natural grain effect, our composite door range has that traditional timber feel. 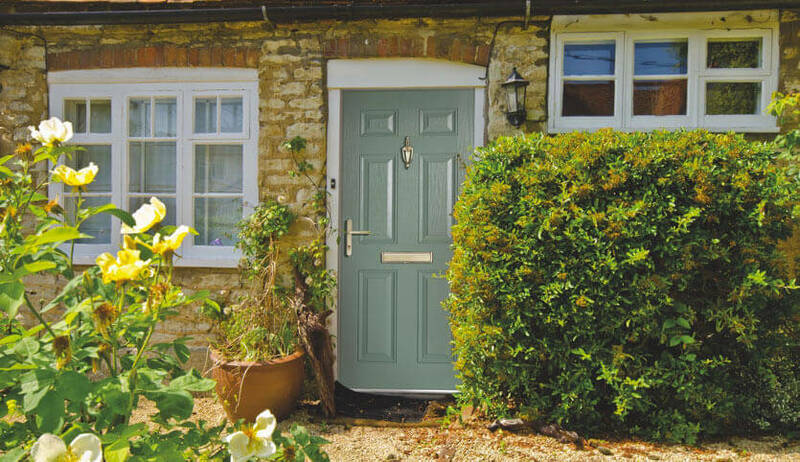 Our coloured range of doors have the appearance of perfectly painted timber but won’t chip, flake or fade. This isn’t surface colour, it runs all the way through and the only maintenance required is a wipe with a damp cloth. 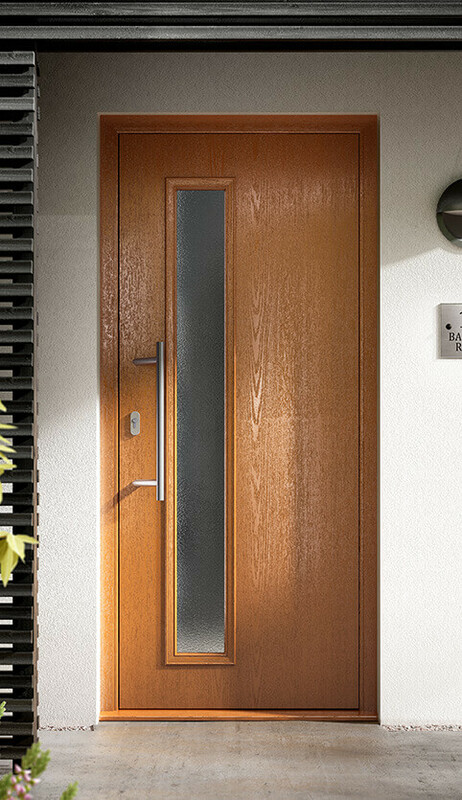 Composite doors are unique in that they have the look of timber with the performance of modern materials such as uPVC. Our flush fitting composite doors are extremely aesthetically pleasing, with a GRP skin that resembles timber while being impact resistant. This makes them easy to look after with no repainting required to keep them looking as good as new. 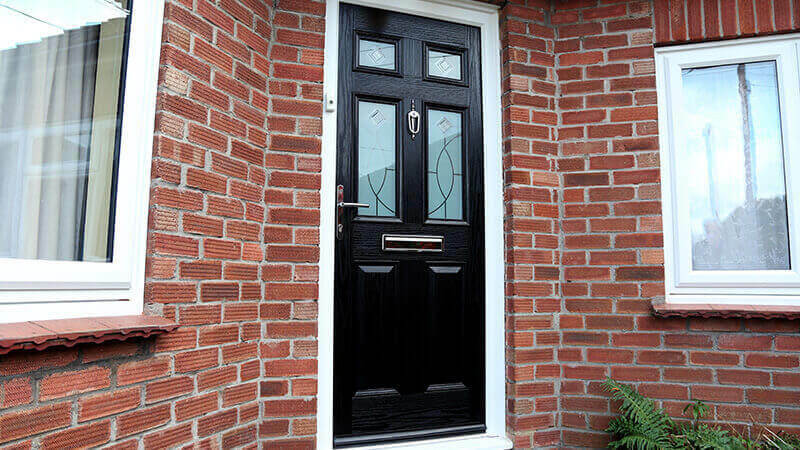 The security benefits of a composite door make it perfect for a front or back door. With a strong solid structure and multi-point locking, they will keep your home secure all year round. Secured by Design approved doors are available to give you the peace of mind that our doors have been regularly tested. 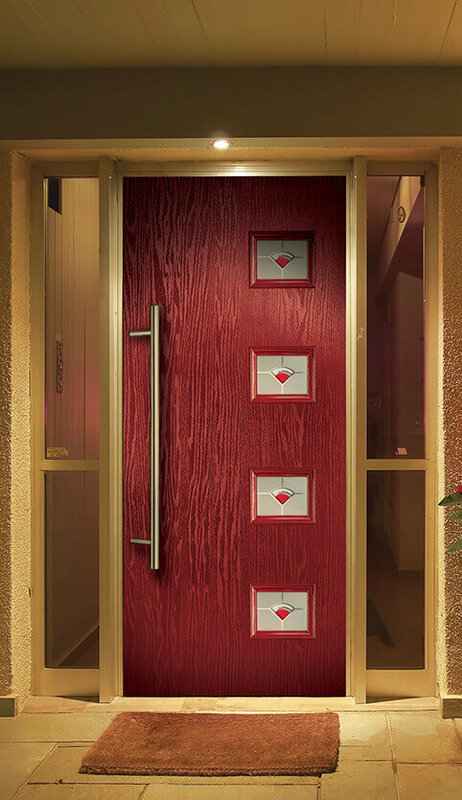 A rated; our composite doors will keep away draughts and stop you losing warmth through your door. 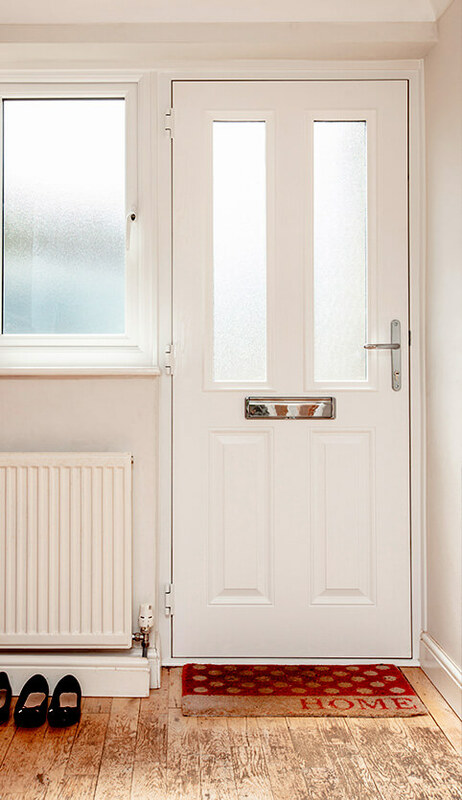 With a thicker 70mm rebated door available, you can enjoy improved thermal and weather performance if you live in a harsher environment. 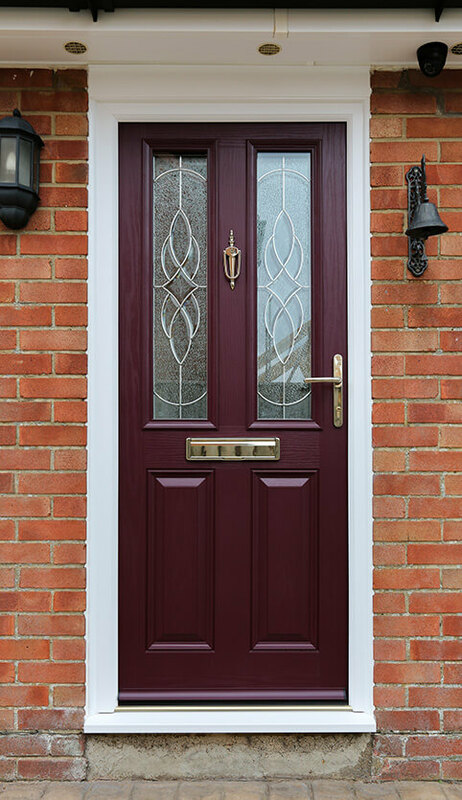 With a range of glazing options as well as any RAL colour, you can personalise your composite door to make it perfectly suit your home. Stylish hardware can be matched to suit your door and add that perfect finishing touch. Take the best of uPVC and timber to create a door that does it all. Combining the beauty of timber with the advantages of uPVC, our range of heritage doors fit perfectly into a country home.